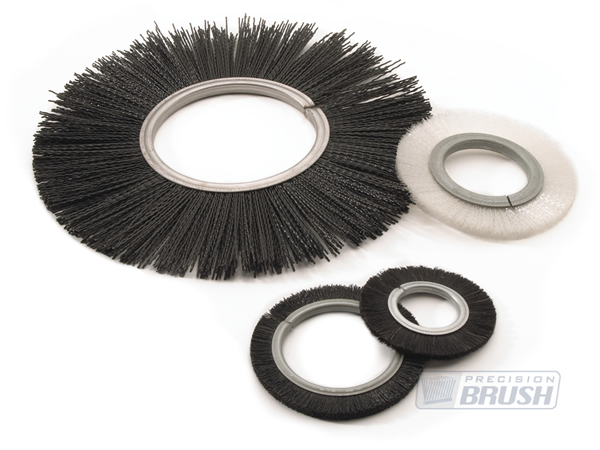 A metal channel strip brush is an instrument consisting of natural or synthetic bristles held securely in place by a U-shaped metal channel and center wire. The metal channel is first formed from flat steel (see chart below) into the “U”. 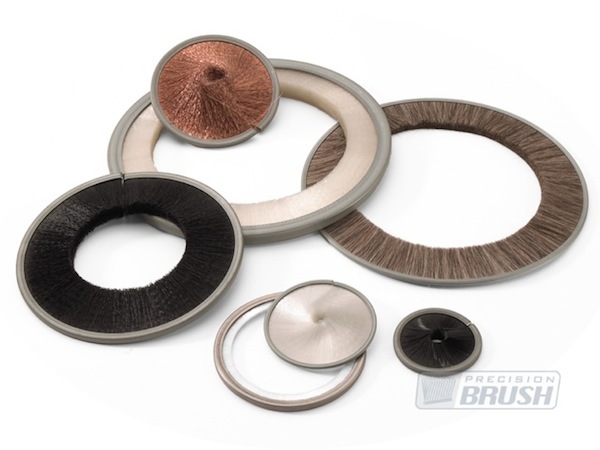 The filaments are also folded into a U shape with the center wire lying in the bottom of the formed filaments. 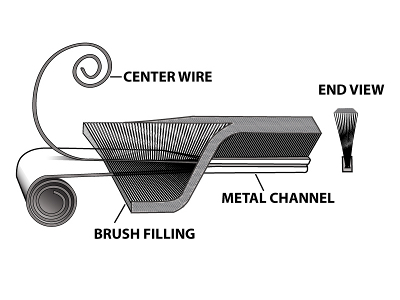 The filaments and center wire are inserted into the metal channel just before the metal channel is squeezed tightly, securing the filaments into the brush. 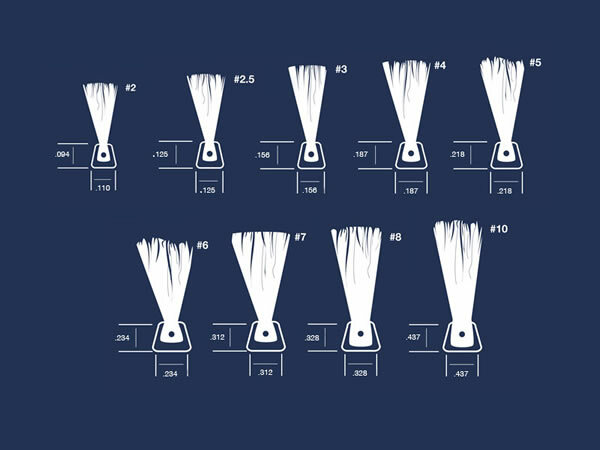 All of our brushes are first manufactured as straight strip brushes, the most common type of brush we produce. 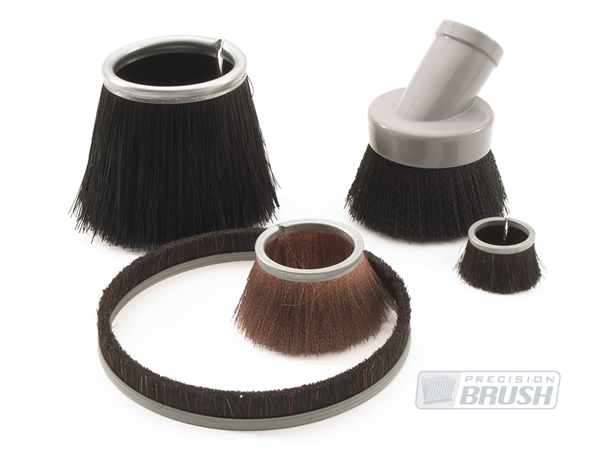 We are then able to form the strip brush into many shapes, including cylinder brushes, disks, ovals and cups. 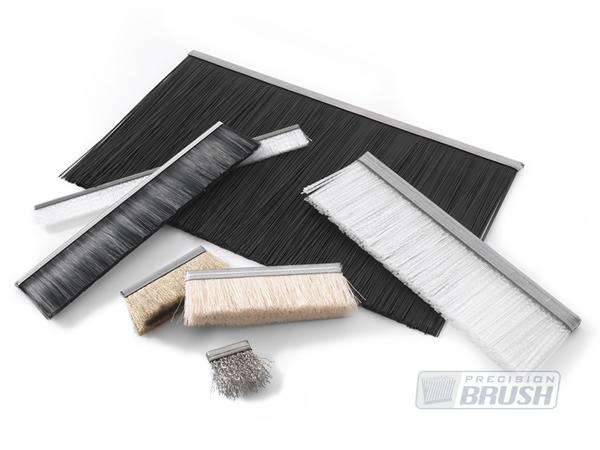 The variations of metal channel strip brush designs are virtually endless when considering the wide selection of brush lengths, trim lengths, filament selections and metal channel sizes. 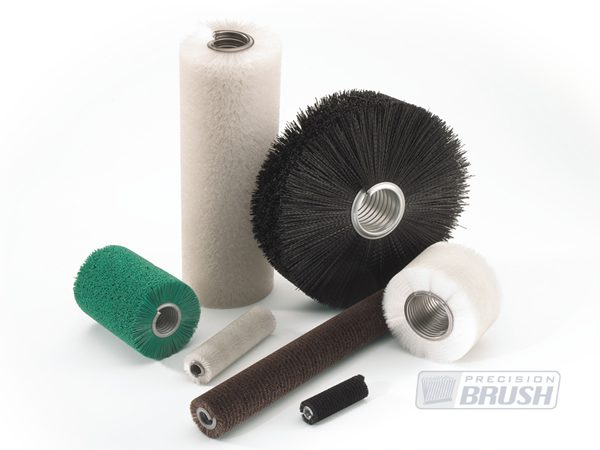 Precision Brush Company has produced nearly 100,000 different brushes over the years. 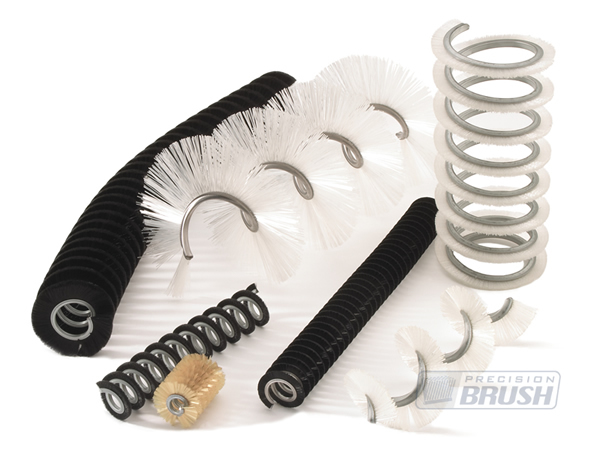 And with our state-of-the-art, custom-built machinery, we are able to fulfill both large and short run orders quickly and efficiently.